With Quality of Service, Power over Ethernet Plus, and advanced security features, the Linksys LGS308P 8-Port Business Smart Gigabit PoE+ Switch keeps your network running at peak performance. This switch ensures network traffic is prioritised properly for efficient usage, while features such as IGMP snooping, Storm Control, and Spanning Tree Protocol maintain peak performance as you expand your network. Power over Ethernet Plus provides extra power, reduces electrical wiring costs, and gives you flexibility when installing network devices. The Linksys Smart Gigabit Switch also keeps your network and data protected with advanced security features that prevent unauthorised access and outside attacks.. Numerous QoS features ensure that traffic is prioritised properly to deliver the best possible user experience for real-time applications like voice and video along with bandwidth-intensive graphic/video file uploads and downloads. IGMP snooping limits IP multicast traffic to the ports that requested it, enabling the rest of the network to operate at peak efficiency. 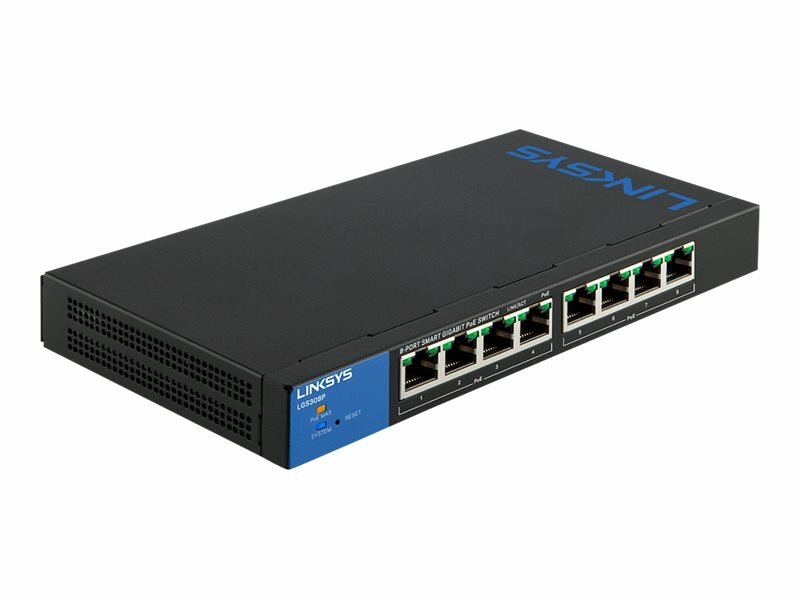 Linksys smart switches support the latest 802.3at (PoE+) standards and provide up to double the power budget per Gigabit Ethernet port while offering 802.3af (PoE) backward compatibility. Power over Ethernet reduces electrical wiring costs, simplifies installation, and supports network devices such as IP cameras and wireless access points in optimal indoor and outdoor locations. Unauthorised access to the network and mission-critical data is a constant concern. Linksys smart switches help secure networks through port authentication and MAC-based port security, requiring clients to authenticate themselves before any data is passed. Advanced DHCP snooping and IP-MAC binding functions ensure network integrity and help prevent network attacks. 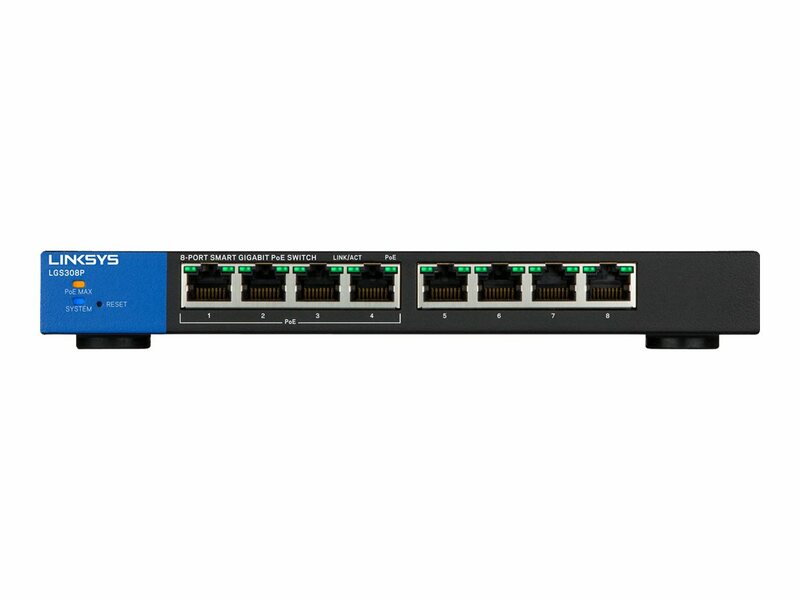 Linksys smart switches include features for quickly expanding and growing your network. 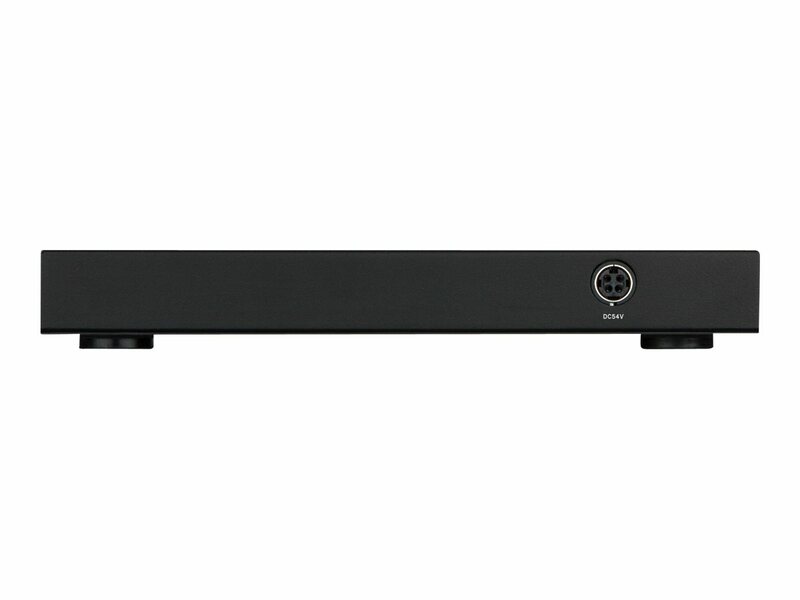 Multiple high-bandwidth trunks between switches enhance availability and redundancy. Spanning Tree Protocol (STP) and storm control features help control planned or inadvertent cable loops, so you can confidently build a mesh of switches and quickly expand your network to support your growing workforce.